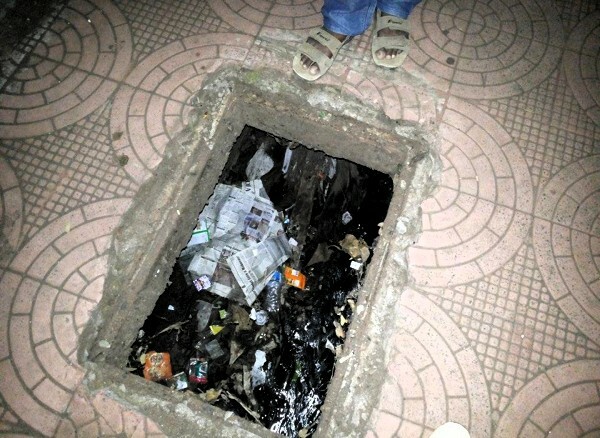 On June 22, 2014 we had made this story Into the jaws of manholes – is anyone listening? 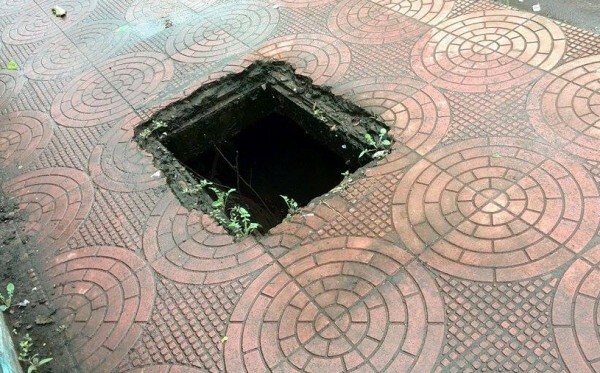 But even after 2 months the manhole is still uncovered and awaiting for someone to fall and may be the media to come up give 24×7 live coverage of how someone fell into it and what all is being done for saving the life. This image of an open manhole on the footpath adjoining Benyon Smith on College road. In the night this sure a death trap. Open manholes were not even barricaded or demarcated by the authorities concerned. Although there have been no fatalities fortunately in Belgaum pedestrians have fallen into open pits. We are a society which is reactive and pro-active, no one wants to act on his/her own to help the citizens. The civic authorities will blandly say it comes in Cantonment and the Cantonment would be least bothered to look into this but will certainly charge a parking fee in their area.